“The Das Kapital of the 20th century. 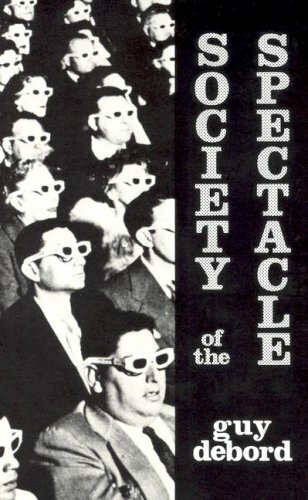 An essential text, and the main theoretical work of the situationists. Few works of political and cultural theory have been as enduringly provocative. From its publication amid the social upheavals of the 1960’s up to the present, the volatile theses of this book have decisively transformed debates on the shape of modernity, capitalism, and everyday life in the late 20th century. re: Društvo spektakla, Serbian ed. Also, a lot of new DADA, SI and other stuff on our web page.